We certainly love this Town and all it has to offer and so when other people recognize the amazing businesses and people we’ve featured here, we like to share that with our audience. If you are a member of the press and would like further information, please feel free to contact us. Millennials may be fleeing cities for more affordable suburbs, but that doesn’t mean they’re leaving their urban sensibilities behind. Suburbanites are increasingly seeking the same unique, artisanal offerings available downtown and retail shopping centres are taking note. At Upper Canada Mall in Newmarket, the desire for hipster food experiences is being met with Market & Co., a 40,000-square-foot food and beverage hall that opened Sept. 7. …these beautiful buildings are worth preserving — the King George School had been declared surplus by the local school board — even if deemed no longer suitable for their original use. 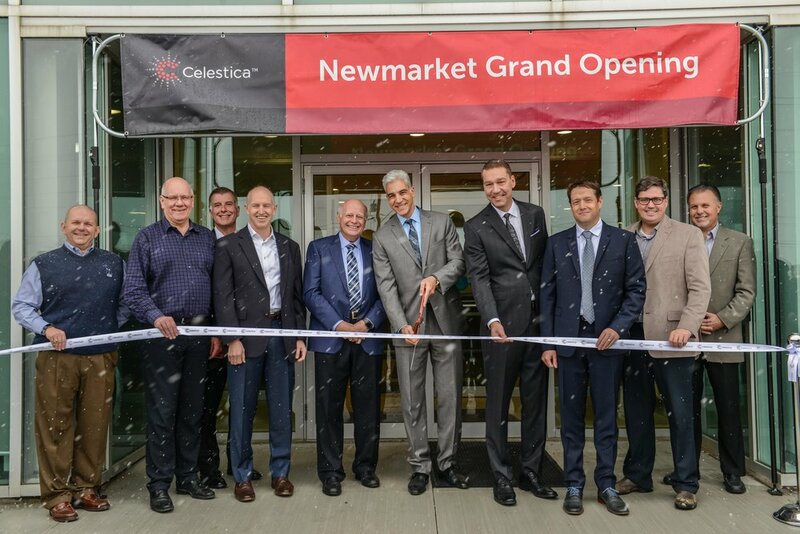 Celestica is relocating its Toronto manufacturing operations to Newmarket. While the leader in design, manufacturing and supply chain solutions for the most innovative companies doesn’t put its brand on the products it help its clients create, it’s most likely you own something it has had a hand in producing, whether it be a toaster or a cellphone.